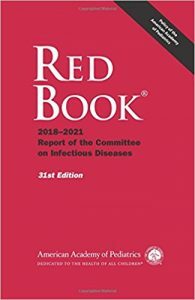 Extending an 8-decade tradition of excellence, Red Book® provides the most reliable and clinically useful information on the manifestations, etiology, epidemiology, diagnosis and treatment of more than 200 childhood infectious diseases. 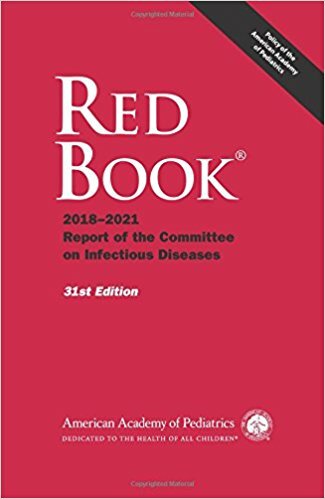 The 31st edition provides evidence-based guidance to practicing clinicians on pediatric infections and vaccinations based on the recommendations of the committee as well as the combined expertise of the CDC, the FDA, and hundreds physician contributors. 3 new chapters added (Chikungunya, Coagulase-Negative Staphylococcal Infections, and Zika). Recommendations for the use of doxycycline have been liberalized. Appropriate chapters have been updated to be consistent with 2018 AAP and CDC vaccine recommendations, CDC recommendations for immunization of health care personnel, and drug recommendations from 2018 Nelson’s Pediatric Antimicrobial Therapy.